Chen Lo is a visionary. This multi-talented artist, producer and entrepreneur has shared the stage with the likes of The Roots Common, Erykah Badu, KRS-ONE, A Tribe Called Quest, Xzibit and has done work with the legendary Last Poets. To date, he has recorded notable collaborations with K’Naan, Murs Jean Grae and Ryan Leslie. Chen has toured extensively with Jazz at Lincoln Center on the Rhythm Road performing and implementing music/culture workshops and master classes in Morocco, Tunisia, Algeria, Jordan, Lebanon, Syria, Bahrain and Honduras. He has also been involved in music related projects in South Africa, Swaziland, Senegal, Vietnam and Brazil. Chen Lo’s music has been featured on major television networks and shows including: BET, MTV and CBS. He was a frequent contributor to BETJ’s My Two Cents bringing his personal and professional perspectives to the world. Through his full service production company, Soul Science Lab, he has produced a number of larger scale music and multi-media projects with premier arts institutions like the August Wilson Center and 651ARTS. In addition, he has developed and implemented an Arts Education Series called Creative Culture that has run successfully in Pittsburgh, PA and Brooklyn, NY. A BA from Penn State in Media Studies and an interdisciplinary MA from New York University in Art and Social Change have only served to enhance Chen’s ability to provide this service. Chen Lo continues to make great music, spread love and make history. Felicia Pride started her writing career as a cultural journalist nearly fifteen years ago, before transitioning into an author and screenwriter. She’s currently a Film Independent Screenwriting Fellow. Openended, a feature film that she wrote, is currently in development. She wrote and produced “The End Again,” a short film which recently had its television premiere. She’s also the author of the essay collection The Message: 100 Life Lessons from Hip-Hop’s Greatest Songs, which was reissued by the publishing arm of NBC. She went on to write six more books, including being tapped by Simon & Schuster to pen two books based on the award-winning television show Everybody Hates Chris. As an entertainment industry professional, she recently served as the Director of Independent Film at Tugg, a distribution platform. 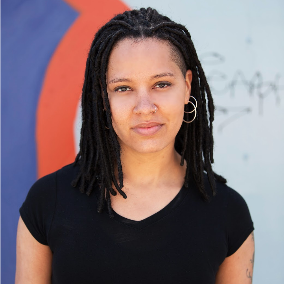 Prior, she ran a consultancy specializing in impact and engagement for films like Slavery by Another Name, Middle of Nowhere, and Alice Walker: Beauty in Truth and has worked on film, television, and digital projects with organizations like Participant Media, PBS, and NPR. Felicia is the founder of The Create Daily, a resource for content creators. She’s been an invited speaker at universities and events around the country including SXSW, Film Independent Forum, AFI Docs, and TEDx. She holds an M.A. in writing from Emerson College. Gabriel “Kwikstep” Dionisio AKA DJ KS 360 started dancing between the ages of 6 and 7 influenced by Soul Train and block parties in NYC. Kwikstep has performed in PBS’s Peabody Award-winning “Everybody Dance Now,” the Great Performances 20th Anniversary Special, and Kurt Weill’s “September Songs,” which was nominated for an Emmy Award. 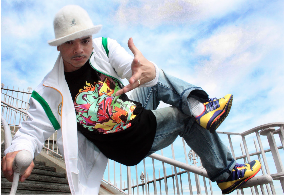 Kwikstep is a Bessie award recipient for choreography and also founded his crew known as Full Circle in 1992. In 1996 Kwikstep and his wife Rokafella established Full Circle as a non-profit internationally acclaimed Hip hop collective known as Full Circle Productions Inc and it’s members are known as Full Circle Souljahs. Today he is an international icon in breaking and is best known for his smooth style, versatility and signature head spins. 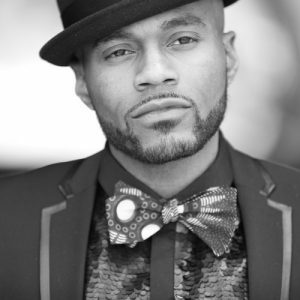 He was also an original founding member choreographer and principal dancer in companies such as Rhythm Technicians and GhettOriginal who were the creators of “Jam on the Groove” which was nominated for a Drama Desk Award. Most recently Kwikstep is a featured dancer in The Netflix Series “The Get Down” directed by Baz Lerhman. Genesis Be is a critically acclaimed songwriter from Biloxi, Mississippi. She is also a Hurricane Katrina Survivor who relocated to New York City after helping in rebuilding efforts after the storm. Since graduating NYU’s Clive Davis Institute of Recorded Music, her work has been positively critiqued by The L.A. Times, The Village Voice, Soultrain, Billboard Magazine and more. She began rapping at the age of 13. 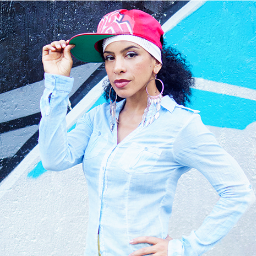 Genesis utilized Hip-Hop as an educational tool for the first time, when she was approached by The Mississippi Aids Task force in 2004. They asked her to write a song that informed youth about the AIDS virus. 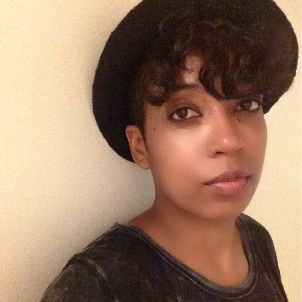 The piece was a success and was turned into a music video that featured youth from her hometown Biloxi, MS. Around the same time, Genesis linked with Lynn Meadows & Ken Leonard to produce “Rapsody”, a LIVE rap piece featuring a full orchestral arrangement that educates youth about the element of the orchestra. It was the beginning of a long line of activism for the young rapper, music being her main tool for change. Since graduating college, Genesis launched a youth empowerment campaign called Strive Till I Rise. She has worked with established organizations like The Boys & Girls Club, Mississippi AIDS Task Force & Lynn Meadows Discovery Center to complete workshops with hundreds of kids. 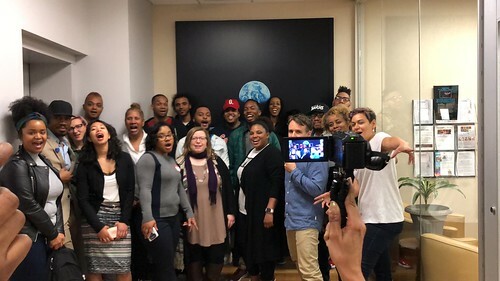 The workshops use audio/visuals (mainly Hip Hop music) to explore topics like HIV/AIDS awareness, resume building, gun violence, conflict resolution, teen pregnancy, the voting process, bullying and community activism. She currently resides in New York City but continues to operate and collaborate with local youth organizations back home in Mississippi. Roberto Rivera is an artist, educator, and change agent who specializes in applying best practices in engaging youth using practical and relevant methods. He is also the President and Lead Change Agent of The Good Life Organization. Roberto Rivera received his undergraduate degree at UW-Madison where he created his own major entitled “Social Change, Youth Culture and the Arts”. He received his masters degree at UIC in Youth Development with a focus on Social Justice, Urban Education, and Hip-hop. 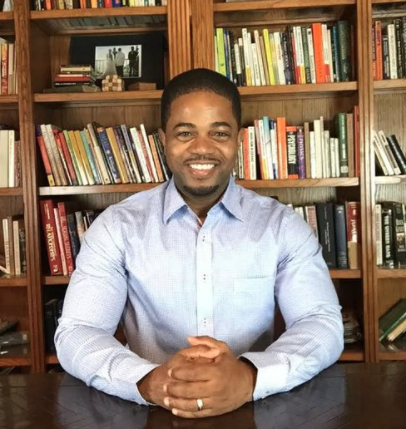 He currently is the President and Lead Change Agent of the Good Life Org., an organization that publishes multi-media educational tools and trains educators, youth workers, and parents in connecting positive youth development to community development. His experience in working in the field of community-based popular education over the last decade have won him awards from former president Bill Clinton, Congresswoman Tammy Baldwin, and others. 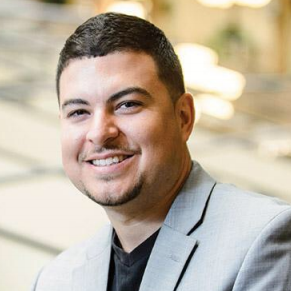 Despite these accolades, Roberto sees his work as giving back, since being labeled “at-risk” and “disadvantaged” as a teen himself, his relationships with key educators and youth workers helped him to turn his life around. Roberto’s presentations are unique in that they not only include scientific based research, but that they also include his own story of transforming from a dope dealer to a hope dealer, to incorporating stories from his work with communities around the nation. His unique ability to code-switch from sharing research and data to stories and poems leaves audiences standing with enlightened minds and moved hearts. 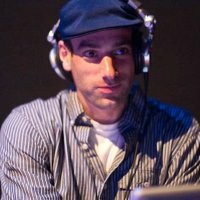 Rabbi Darkside is an MC/DJ/Beatboxer/Educator based in Brooklyn, NY. His movements aim to incite empathy and empowerment through social justice education and creative freedom, facilitated by his mastery of improvisation and elastic collaborative abilities. He is the 20-time Freestyle Mondays “Off the Head Gameshow” Champion and the 2010 End of the Weak MC Challenge U.S. Co-Champion, in addition to winning every major freestyle rap competition in NYC in the new millennium. Darkside blurs the line between Hip Hop, Jazz, Folk, Poetry and Progressive Soul. His prowess as a multi-elemental artist has led to 15 international tours, landed his latest album atop the CMJ Hip Hop charts and found him on MTV’s “Made,” Okayplayer, New York Times, the Today Show, CBS Early Show, HipHopDX, 2DopeBoyz and the Village Voice. Recent performance highlights include headlining the 2016 and 2015 Blue Note Jazz Festival, 2014 SXSW, 2013 CMJ Festival and the 2012 WNYC Battle of the Boroughs. Darkside is the co-founder of the Hip Hop Re:Education Project, a Hip Hop Education Fellow at the H2ED Hip Hop Ed Center at NYU, and the artistic creator of NYS Regents test prep program “Fresh Prep.” In 2015-2016 he traveled to Kampala, Uganda as a U.S. Hip Hop Cultural Ambassador with the Next Level Initiative and is currently a part-time lecturer at The New School, teaching seminars of his own design focused on Hip Hop Culture, Arts & Pedagogy. He is also a secular ordained minister and recently presided over his 7th wedding. Jen Johnson is an assistant professor of English Education at San José State University where she prepares students to become teachers of powerful Englishes in secondary schools. 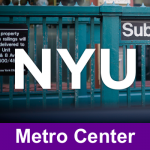 Her research and teaching experience is rooted in a desire to contribute to a more just and equitable global society through humanizing and innovative pedagogies that foster literacies of access and liberation in culturally and linguistically diverse settings by leveraging digital literacies, critical theory, debate, Hip-Hop culture, and participatory action research in teaching and teacher education. Beginning her work with brilliant young scholars, leaders, and MCs at Kennedy High School in Richmond, California, she coached competitive academic high school policy debate for over 16 years during which time she also ran two Urban Debate Leagues. She earned her PhD in English Education from Teachers College, Columbia University where she was a graduate research fellow with the Institute for Urban and Minority Education (IUME) and the founding director of the Teachers College Debate Institute at IUME, a fully subsidized academic Hip-Hop debate apprenticeship serving New York City public high school students. Her research is grounded in critical literacy and sociocultural approaches to teaching and learning and she examines the role of Hip-Hop and debate in fostering academic literacies, civic participation, college going practices, and identity formation. Her ultimate goal is to expand debating opportunities to unite young leaders, educators and change makers around the globe. She believes that through the power of debate and Hip-Hop we can connect, build, educate, elevate, and create a just and truly participatory democracy for a new world with endless possibilities for us all. Tracee Worley is an learning designer who loves to design student-centered learning experiences. Her work helps students and educators use the design process to develop tools and resources that promote innovation and creativity. Working across a wide-range of educational and training settings, Tracee is constantly exploring ways that learning can be more student-centered. 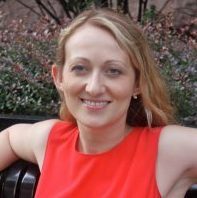 She has helped create digital apps and platforms, built knowledge sharing systems, and consulted with national media organizations to translate their educational values into robust print and blended learning experiences. Tracee’s innovative work has been featured by NBC, NPR, the Independent Television Service (ITVS), Tribeca Film Institute, and The New York Times. She holds a B.A. in Education from UC Berkeley, an M.S.W from Columbia University, and an Advanced Certificate in Digital Media Design for Learning from New York University.